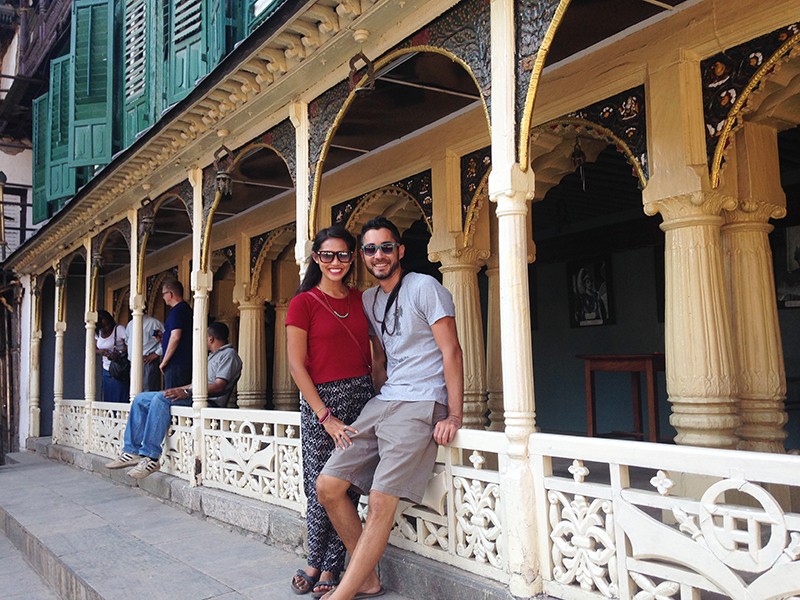 WHERETONEXT Diaries: The One i..
Kathmandu was once known as the Kantipur, “The City of Glory.” Prior to the earthquake, it had the densest concentration of UNESCO World Heritage Sites in the world. Now only two of the seven found in the city center still stand. When complimenting Nepalis on the beauty of their country, most respond dolefully, “it used to be more beautiful than this.” This was my first time visiting a country post-natural disaster. It’s been eye-opening and humbling to say the least. There is still so much to behold and one thing’s for certain — the hearts of Nepalis, though challenged, remain unchanged: full of happiness to share their beloved homeland with anyone who would venture here. One of the most sacred Hindu temples in all of Nepal, Pashupatinath is dedicated to the deity Pashupati (a manifestation of the Lord Shiva and Lord of Animals). The temple was built besides the Bagmati River, which is a source of immense spiritual power since it feeds into the holiest river of the Hindu faith, the Ganges. Everyday, funeral pyres of upperclass and common folk alike burn fiercely and their ashes are swept into the river in order to escape the cycle of reincarnation. Non-Hindus are not allowed in the main temple but can watch the cremations and explore the temple grounds for 1000 NPR (approx. $10). 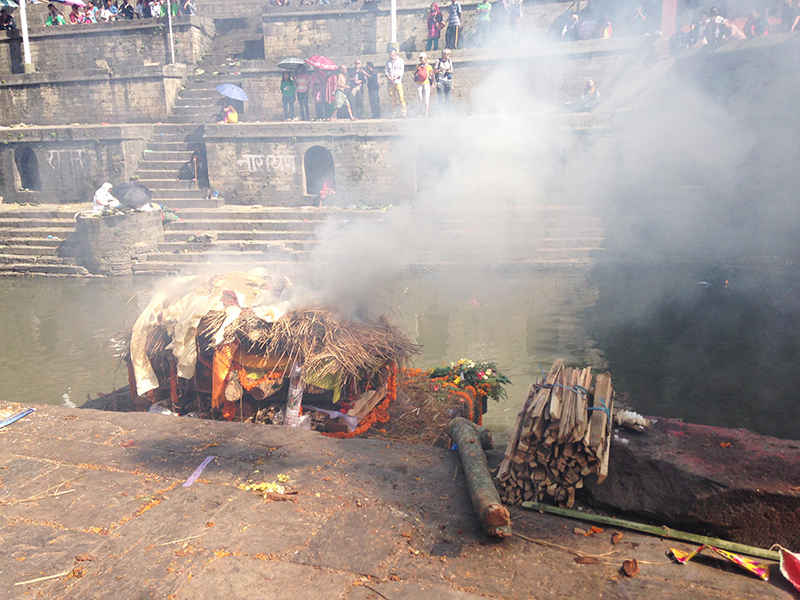 The cremations take place on a ghat, a raised platform on the banks of the Bagmati. On the western edge of the city lies the religious site of Swayambhunath, also known as the Monkey Temple. The Tibetan Buddhist shrine is perched on a hilltop overlooking Kathmandu in all its splendor. You have to ascend 365 steep steps that are guarded by intimidating, “holy” monkeys in order to see the golden stupa painted with the all-seeing Buddha eyes. Despite some damage caused to the surrounding temples, the actual stupa remains intact and stands proudly atop the white dome. Entry fee is 350 NPR. I AM ADDICTED. 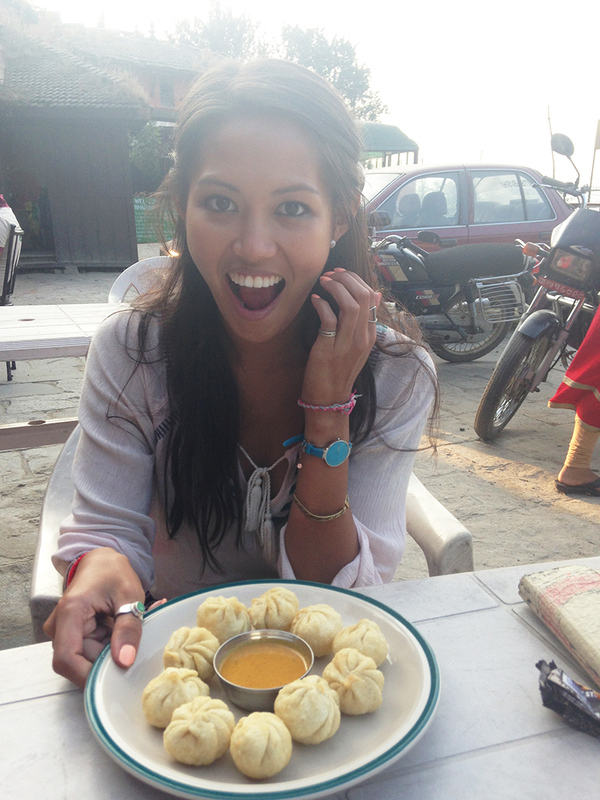 No, seriously, every day in Nepal holds the possibility of finding my next favorite preparation of momos and I make it my mission to find the very best before I leave. What are referred to as the Nepalese equivalent of dumplings, momos (originally from Tibet) have made their way onto Nepalese menus. Pan-fried, steamed, drenched in sweet chili sauce, half-moon, round, stuffed with minced chicken, veggies, cheese or even buffalo! Every place I’ve ordered momos has a different method of preparation and I love how this seemingly-simple dish has not tasted the same once. But one’s thing for sure: it cannot be eaten without the spicy chutney dipping sauce! The best I’ve found so far is at Rama’s Kitchen in Thamel. Their take on veg momos is rolled in bread crumbs and deep-fried. You won’t be disappointed! Durbur Square, the royal plaza in the heart of the capital city, contains many architectural masterpieces of historical importance. Sadly, it became Ground Zero of the recent 7.8 magnitude earthquake that rocked Nepal this past April. Within the square, the temple that Kathmandu was named after, Kasthamandap, has been reduced to rubble along with the Maju Dega & Narayan Vishnu, Trailokya Mohan, and Krishna structures. What still stands remains a window into the past. My favorite building in the square is the Kumari Bahal (The House of the Living Goddess) where the world’s only living goddess resides during her reign. Walking past the small entryway, you step into a square courtyard surrounded by downward facing ornate windows. From these windows, it is said that you can catch a glimpse of the Kumari which is highly auspicious. The cost is 750 NPR and I suggest getting a guide but make sure you discuss a price first before proceeding. No major city is complete without its own touristy neighborhood. Kathmandu is no exception. Thamel, the commercial center of Kathmandu, is a labyrinth of shops that sell everything from stone carvings to discounted North Face jackets and Reese’s peanut butter cups for the starved hiker. It is the base for all foreigners in Nepal with everything catering specifically to tourists. You can find whatever you need here be it a cheap room or a great Mexican breakfast and even a yak wool blanket if you so fancy. Shop Right Supermarket in Thamel has everything you would ever need, all under one roof. The most impressive is the variety of snacks. It even has gluten-free items! Thamel is also the place for inexpensive chowing down. There’s a spectacular selection ranging from traditional Nepali fare at The Nepali and Indian Kitchen that won’t cost you more than 400 for a full-course meal to a breakfast joint, The Northfield Cafe and Jesse James Bar, that serves the most generous portions of Huevos Rancheros (my plate was overflowing with salsa). That, sprinkled in with some cheap German bakeries and you are good to go. Tons of well-kept bookstores brimming with new and used books are found all over the Thamel area such as Pilgrims Book Shop, Summit Book Store, and Paradise Booksellers. 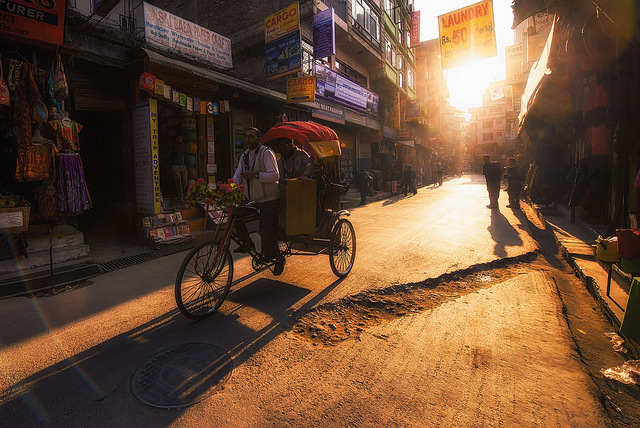 During the month of October, Nepal’s largest holiday, Doshain, keeps the streets quiet. But on the 8th day of the festival in Durbur Square, a mass slaughtering of animals meant as a sacrifice for the Hindu gods is performed. It is gruesome so prepare yourself. Because of a petroleum shortage causing havoc on the tourist season, the prices for rooms are waaaaay down. There’s no need to book ahead and places are open to discounting rooms on the spot. There are a lot of touts advertising hotels found in dodgy alleyways so to avoid the hassle of climbing up a million flights of stairs in order to preview a sub-par room, head to Fujia Guest House (JP Road, Thamel). When we stayed there, the property seemed really new. Its not featured anywhere online too. But the rooms with windows get plenty of natural light, the wifi is pretty good (by Nepal standards), and the room is very clean. Bonus: the shower is piping hot and no electricity cuts. Standard double room starts at $10 per night.  Do you have more tips about Kathmandu, Nepal that I’ve missed? Comment below! Great post! 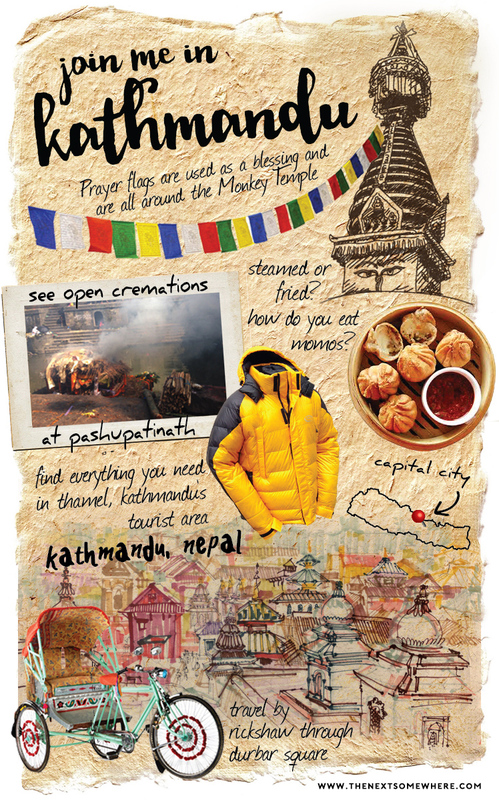 I’ve always wanted to go to Katmandu but haven’t yet found the chance reading this has made me want to check out all of these things I would have never thought about doing! Nice photos. 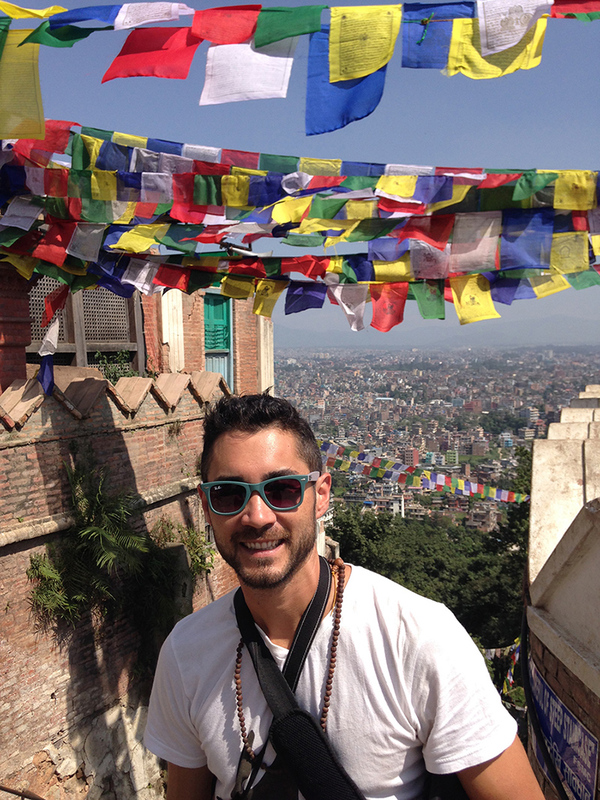 Katmandu is really an interesting place to visit. You had a great time in an amazing place. What a cool list. We’d love to do all these things. The earthquake was real tragedy. It shows why we should all travel more and more often and not put it off. Wonderful world treasures can be lost forever like they were in Nepal. Thank son highlighting this awesome place. Nepal is on my travel list. Those are some wonderful photos you got here! I especially love the artwork at the top! I’ve never been to Kathmandu, but it looks so colorful and vibrant. I appreciate the tips for being respectful during a cremation. Although I love observing and soaking in local cultures, I want to aways not treat the people as a “tourist attraction”. Thank for sharing your recommendations and lovely photos! I can imagine the glory of the Durbar Square just by seeing that one picture you have put up. So sad that it was destroyed by the earthquake. Did you visit the Pashupati Nath temple? Its a famous and revered site. Kathmandu is such a beautiful town. And these are wonderful tips to not just do things here, but to soak into the local culture. I have heard the temples there are absolutely beautiful. I definitely would want to visit the square or what is left of it. It was devastating to know that only some bits survive. Glad you have shared some more of the attractions of Kathmandu that help you understand the cultural part of the place better. I think I might be visiting your blog for the very first time. Very nice, I like the layout of it and I especially love that you are listing some quite unique things. I never knew you can go see an open cremation, wow. Also the food looks great, I hope I get to travel to Nepal someday. Great pics too!